Rosemary is fifteen and gloriously free, on her own for the very first time. Part of an exchange program for aspiring artists, she arrives in sunny southern France with a single goal: she doesn’t plan to leave, ever. She wants a new life, a new family, and a new identity. But her situation, crafted from lies big and small, is precarious. Desperate to escape haunting images from her past and a stage one helicopter parent, Rosemary struggles to hide her lack of artistic talent and a communication disorder that has tormented her all her life. She believes her dream of a new start will come true, until she unwittingly finds herself enveloped in a decades-old mystery that threatens to ruin her only chance for success. Determined to stay, Rosemary must choose whether or not she’ll tell the biggest lie of all, even if it means destroying the life of someone she cares about. Dramatic, heartwarming, and full of teenage angst, The French Impressionist perfectly captures the struggle of those who feel they have no voice, and also shows the courage it takes to speak up and show the world who we really are. I requested this book because the cover intrigued me. The style is fun. The idea of a fifteen-year-old girl sneaking off from the United States to France to get a new start sounds like a fun, mischievous read. The novel both looks at Rosemary’s communication disorder, her relationship with her mom and her best friend, and then adds in a bit of a mystery, with everything wrapped up in a heavy dose of teenage angst and awkward, clumsy girl. All in all, the plot bounces a round a tad but manages to stay on course and in the end gather together. Teenage angst and an adorable first kiss. I enjoyed parts of this book, but it never grabbed me and made me keep reading. And, the ending felt a little too easy and slick. But for some, that is exactly the kind of ending they prefer. All in all, this book is a good read if you want something lighthearted with a tinge of seriousness, a lot of mishaps, and an adorable first kiss. Rebecca Bischoff currently resides in Idaho with her family and works as a speech-language pathologist. She loves helping others, especially kids and teenagers, discover their own unique voices and learn to share who they are with the world. When she isn’t writing, she loves to read, spend time with her kids, and make awkward attempts to learn foreign languages. She is drawn to all things both French and Italian, used bookstores, and anything made out of chocolate. Find her on Facebook, Twitter, and on her website. Read more reviews, excerpts, author interviews and more in the other spots on The French Impressionist blog tour with Xpresso Book Tours. 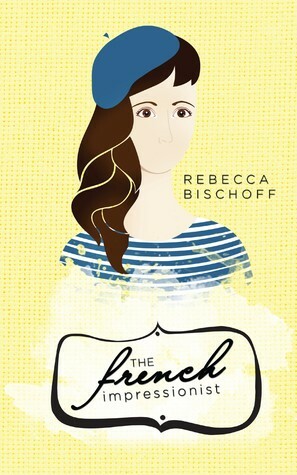 Win signed copy of The French Impressionist, a $50 Amazon gift card, and a box of macaroons from Xpresso Book Tours. Giveaway open to USA and Canada. Ends Dec. 22.